You are always committed to give the best experience to your customers when you are maintaining a WordPress or a WooCommerce site. You can adopt several strategies to ensure a great customer experience while they are on your site. A great way to engage traffic and improve conversions is to provide live chat option. In some way, live chat is better than sending support tickets, emails or other modes of support. You get to understand your site visitors’ requirements better, and it also helps to build trust. Improve customer service and loyalty: live chat allows you to give quick answers to questions about your products, solve a problem faster and assure customers that you are there when they need you. Though this is simple but very effective for customer service and loyalty. Faster problem resolutions: it’s not easy for customers or users to quickly find out knowledge base and help articles online. But with live chat, agents can push links to help or train documents quickly via the live chat window. This is something you cannot do with phone support. Reduce expenses: live chat is a lot cheaper than phone support. It allows your team or agents to multitask and assist several visitors at once. Most live chat agents can handle three or more chat simultaneously on average. Increased sales: live chat is useful to boost your sales and to generate leads. Your team has many more opportunities to turn visitors into paying clients or customers because live chat provides visitors with instant access to your support staff and sales team. Competitive advantages: if you install live chat feature on your site, there are good chances that you will have the edge over your competition in terms of friendly and instant support access. Tawk.To is one of the most popular plugins in its class on the WordPress repository. Allows you to add an unlimited number of agents to your account. It is a highly flexible and customizable plugin with color schemes. Tawk.To is a completely free tool that you can use to set up a live chat option on your store. This is a great plugin that helps you to be in touch with your site visitors. It enables you to assign multiple support agents at the same time. Using Tawk.To plugin, you can manage your customer engagement strategy for multiple sites and customers. All the different websites that you run can be managed on the same dashboard. The plugin makes sure you can handle your customers’ queries in real time. Tawk.To plugin is easy to install and configurable and you’ll get great online support through chat and email. Overall, it’s a great and useful live chat option for your site. WP Live Chat Support is an excellent free WordPress live chat plugin that is ideal or your business. It is fully customizable, easy to use, a user-friendly plugin that offers a lot of customization options to engage your users with you. This plugin provides automatic pop-ups and helps to apply animations on the chat. The simplicity of its design is one of the reason it is highly accessible. The plugin can be installed and configured from the plugin setting page. The interface is easy for both site owners and users. Users can leave a chat anonymously without entering their email id or name. You can manage messages when you are offline. All your chat messages will be stored so that you can respond when you are back. There is also an option to go back to chats that you have missed to respond promptly. This plugin allows for banning specific users based on their IP address. Tidio Live Chat is a fully responsive WordPress live-chat plugin that is aimed to provide the site owners a more natural way to communicate with their visitors. This plugin is undoubtedly worth a try. The plugin is easy to use and helps you approach your site visitors. You can use this plugin without creating or registering an account. It offers a few additional features in its free version. Tidio Live chat plugin is one of the most useful free WordPress live chat plugin that helps to improve conversions on your store. This plugin is easy to integrate with many popular plugins. This plugin gives you an option to display a form and allow your visitors to send a query via email. The plugin will enable you to add an infinite number of agents to the chat option. You can handle live chat queries effectively, even when your customer base is growing. If you are looking for a useful WordPress live chat plugin, then Jivo Live Chat is a fantastic option. It is one of the most popular and influential plugins among others. The real-time live chat options of this plugin enable users to get connected within a matter of minutes. Jivo Live Chat plugin allows you to track your visitors and to initiate a chat with them upon conditions. One of the great features of the plugin is, you can see the message that your users type in before they hit the send button. It is fast loading, and lightweight plugin that makes sure your website doesn’t cause unnecessary lag. Language is not a barrier to this plugin. It instantly translates messages from both admin and user side. You can include social media conversations as well. It offers support for Facebook, Viber, etc. Formilla is a free live chat WordPress plugin that provides users with the most efficient way to communicate with their customers. It has a range of useful options for customizing as well as interacting with your viewers in real-time. This plugin offers a large number of features to help you track visitors efficiently. This plugin will help you get a lot of details regarding the site visitor including country, last accessed web pages, IP address, etc. Many impressive features are available that includes offline email forms, proactive chat and chat queues. This plugin supports tons of international languages to make sure that none of your users are left out. It has advanced customization features and an option to keep pre-set responses. You can easily customize your user’s preference and get excellent customer support. Now you know that what live chat plugin can do for your website. 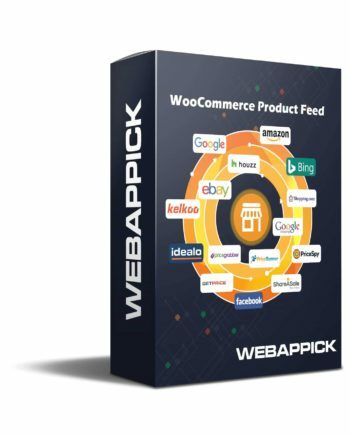 We have listed top WordPress and WooCommerce plugins for your site. We hope you will find the best one to improve your customer experience from this listing. 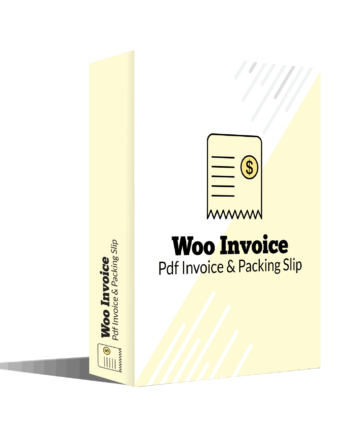 An efficient WooCommerce plugin (Woo Invoice) is available for your WooCommerce store to generate PDF invoices. The plugin generates your invoice when orders are created, and a basic template is included that can be printed and downloaded if required.